CHICAGO (August 21, 2018) — Hyatt Hotels Corporation (NYSE: H) announced today the opening of Hyatt Regency Seragaki Island Okinawa in the southernmost region of Japan. Located on the private Seragaki Island and linked by a bridge to the main island of Okinawa, the hotel offers a stunning view of the East China Sea from all 344 guest rooms. 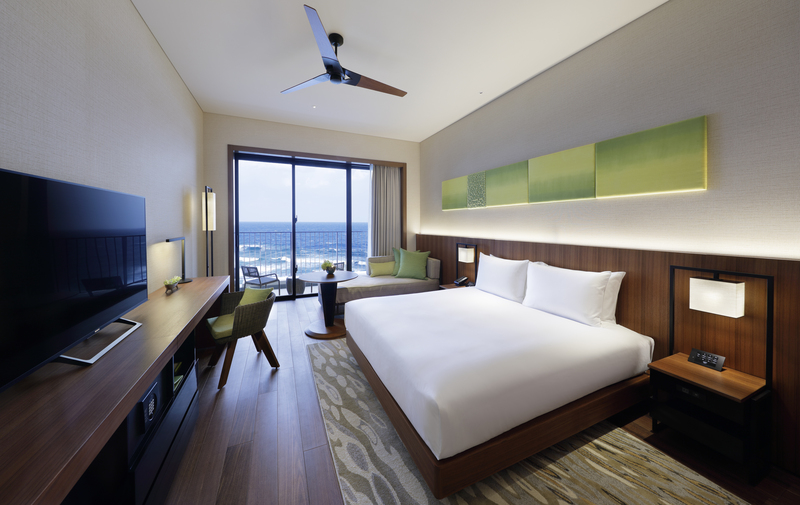 An immersive destination hotel, Hyatt Regency Seragaki Island Okinawa blends local culture, warm hospitality and thoughtful service, enabling guests to feel refreshed and reconnected to who and what matters to them most. The breezy, light-filled interiors by Tokyo-based, Hashimoto Yukio Design Studio draw from the hotel’s idyllic waterfront surroundings and the rich traditions of Okinawan culture to create intuitive spaces where guests can connect and recharge. All guestrooms feature mesmerizing views of the crystal clear waters. There are 320 guest rooms housed in a seven-floor building on Seragaki Island, including 71 Regency Club rooms and 16 suites which come with unique privileges such as dedicated check-in and check-out and use of a private lounge. Ideal for honeymoons and private gatherings, the spacious 1,948-square-foot Seragaki Island Suite features a private 1689-square-foot terrace. 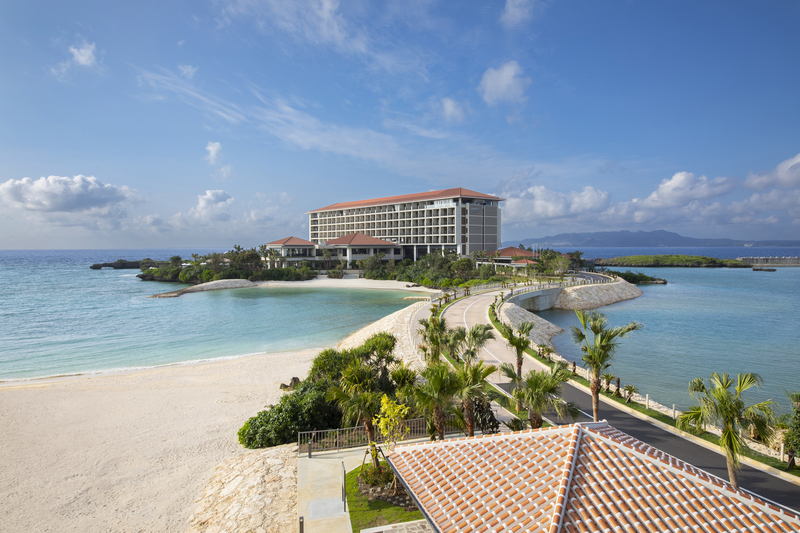 Hyatt Regency Seragaki Island Okinawa is home to six dining outlets, offering delicious comfort food alongside breathtaking scenery. At Shirakachi, diners can savor different Japanese cuisines such as Robatayaki, Teppanyaki, Nihon-ryori and Sushi prepared with local heirloom produce and fresh catch of the day from the surrounding waters. The trattoria-style Cucina Serale serves Italian classics in a relaxing setting while Serale is the hotel’s all-day dining restaurant. At the Beach Bar and Poolside Bar, guests can sip on refreshing frozen mocktails as they take in the stunning sunset vistas. Hyatt Regency Seragaki Island Okinawa provides a wide range of recreational programs focused on self-discovery and wellness, with some programs curated by free-diving world record holder, Sayuri Kinoshita. Activities include diving, morning and sunset yoga, karate, and fun-filled competitions from beach flags to tug-of-war at the ocean’s edge as well as walking and cycling tours. For children aged 3 to 12, Camp Hyatt offers exciting programs including arts and crafts, beach activities, and local Ryukyu traditions and culture classes. To celebrate the opening of Hyatt Regency Seragaki Island Okinawa, guests who book stays between August 21 and October 22, 2018 may enjoy a 50 percent savings on every second room night booked when they stay a minimum of two nights by requesting this offer. Offer valid for reservations for stays with a check-out date from August 21 to October 22, 2018 at Hyatt Regency Seragaki Island Okinawa. Valid only with the use of the promotion code OKAOP1 at the time of booking to qualify for the discount. A limited number of rooms are allocated to this offer; reservations subject to availability. Offer not valid with groups, conventions, other promotional offers, tour packages or special rate programs. Rate is per room, per night, based on double occupancy and excludes service charges, mandatory resort fees, applicable taxes and other incidental expenses. Additional charges may apply for additional guests or room type upgrades.